The newest, zaniest scientists have just arrived from the Galaxy of Quirk to enhance science and reading for young children. 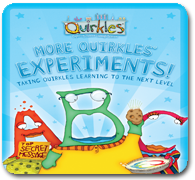 The whimsical illustrations and unique storytelling makes the Quirkles so much fun, children will forget they are learning! 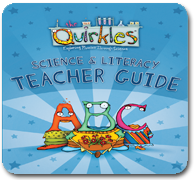 Each Quirkles story emphasizes a selected letter sound as well as an earth, life or physical science concept. 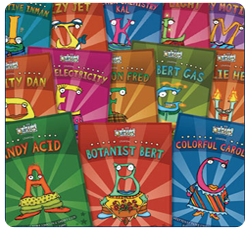 Be sure and try out the science experiments that are outlined in each book. 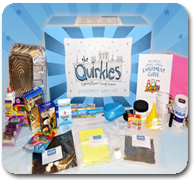 Discover what the buzz is about and order your set of Quirkles books today.